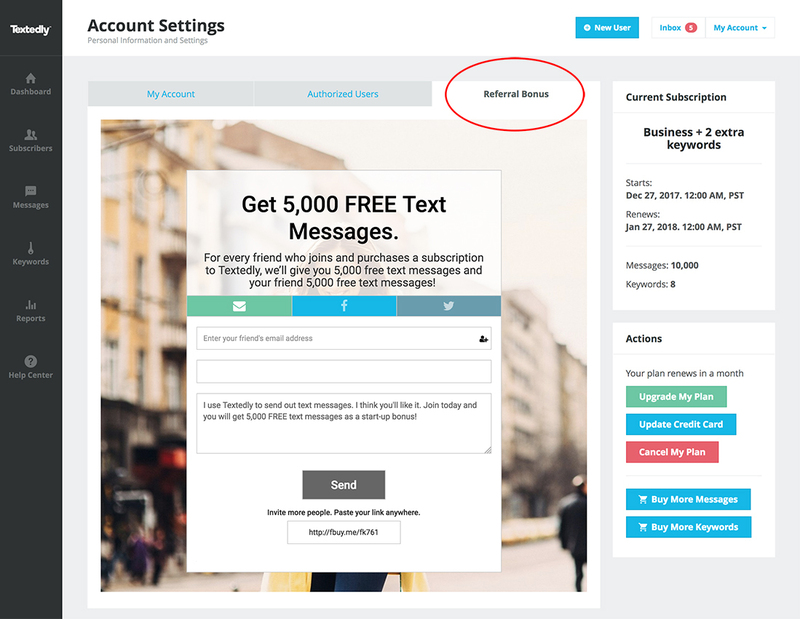 Get 5,000 Free Text Messages for every referral. Do you tell others about Textedly all the time? If so, today is your day! Our generous Textedly Affiliate Program allows anyone to earn 5,000 Free Text Message to your account for each new Textedly subscriber you refer. Under this program, Textedly Affiliates post custom links that track visitors to the Textedly website. Any visitors coming from your link who sign up for Textedly automatically generate your referral bonus for you. 5,000 Free Text Messages for you! 5,000 Free Text Messages for the person you refer!